1/7/04 Started site. Added pics. 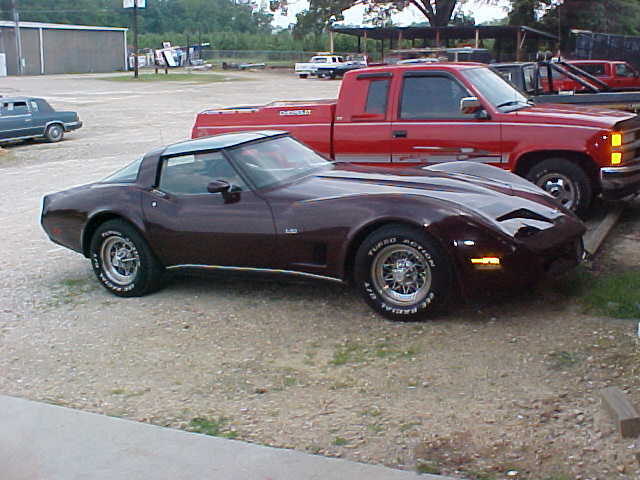 Before I got this car, my dad and I looked at over 10 other vettes. We found one that was an '81 L-48. It was metallic-blue with tan interior. About a month after we put a down payment on it, the dealership sold it to someone else. I was real upset at the time, but I decided to look for another one. 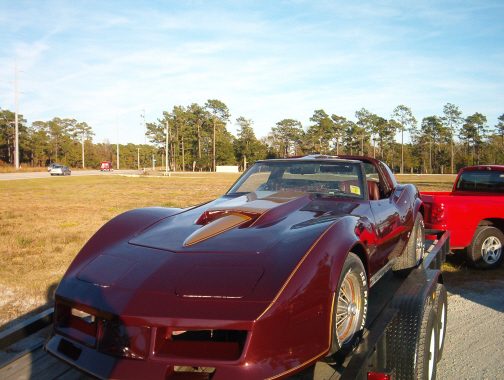 A few weeks later I came across a website for classic cars, East Coast Classic Cars. Under Corvette I found 2 cars, a metallic-blue '82 with crossfire injection and a brown '80 L-82. Just for fun we took a ride to the place which was 2 hours away. First we looked at the '82, it was beautiful. It looked brand new. Then we looked at the '80. It had a crack up the front passenger side fender and a broken headlamp. Apparently someone backed into it and the owner didn't want to fix it. The pic to the right was the one I saw online. After looking at both we decided on the '80. We knew it wouldn't be much to have fixed and already had the rims that I wanted to get. So after losing the first car I wanted, I ended up getting an even better one.